Looking for inspiration for gifts for a high schooler, college kid or recent grad? Take a look at this holiday gift guide for teens and young adults, all gifts at a price point that won’t break the bank. We receive small amounts of compensation from purchases made through some of the links in this post. Your student will never run out of battery on their phone if they have one of these compact and super-powerful portable chargers in their backpacks. Do your kids love avocados like ours do? 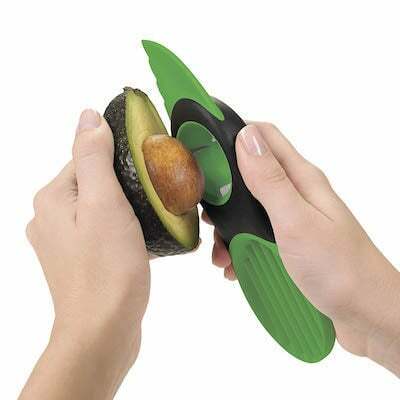 This all-in-one tool will revolutionize the way your teen or college student prepared avocados. this does it all, including getting rid of the stubborn pit and is dishwasher safe. Kids love these and teens can make their own with photographs they love. If your teen or young adult has international travel in their future, they will need an adaptor plug to be able to use their phone and laptop. This one uses a color-coded system and works in 150 countries. We are a little in love with these mini bluetooth speakers and think your teens will love them, too. It comes in four finishes and has a big sound, especially given it’s 2x2x1 inch size. When we throw our clothes in a duffle or roller bag, we arrive with a wrinkled mess. 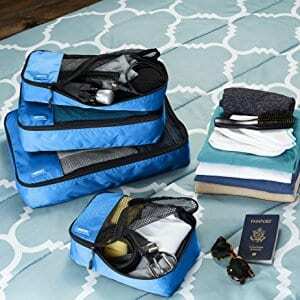 These ingenious packing cubes help travelers stay organized and clothes stay neat. If your kid attends college in a very dry climate, especially during the winter, having an easy way to add a little moisture into the air will help them through the cold months. 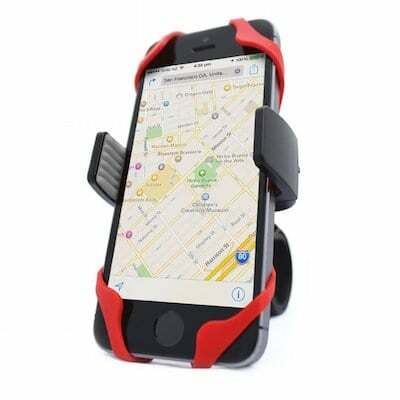 So your kid can keep both hands on the bike handlebars instead of holding their phone. 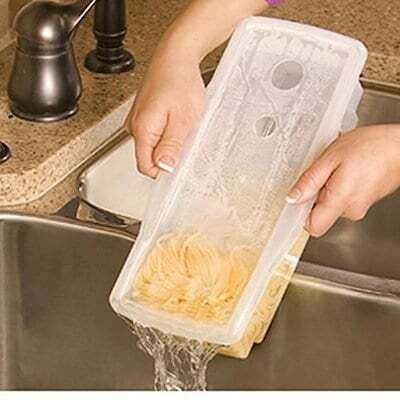 Genius for kids in dorms or for those who have little time to cook pasta. If your teen or young adult is often loosing track of a phone, key or wallet, think about giving them one of these tiny devices that will help track whatever is lost. Never again will your daughter need to juggle a phone, sunglasses, lipstick and ID with this adorable little bag. Available in dozens of cute colors, it can be worn as a cross-body or clipped onto a belt. And did we tell you that it made the list for one of Oprah’s Favorite Things for 2018? 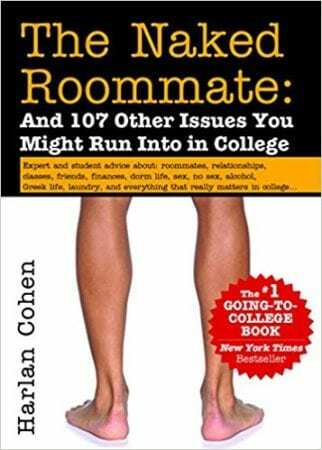 This slim volume is written with such wit, tenderness and humor, that we are certain your high school or college daughter will thank you for giving it to her this holiday. Author and illustrator Becky Blades wrote this book and created the gorgeous artwork as a good bye letter to her own college daughter. Don’t forget to add your own, personal message at the end. 15. Photo Gifts Looking for a personalized gift for your teen but don’t have a lot of time to order one? Did you know that your local CVS can be your one-stop shop for photo gifts? CVS offers a wide variety of presents and you can build your gift at home and pick it up in the store when you dash in for more wrapping paper and tape. We think an ornament with the family dog would be a treasured gift for years to come. 16. Letters to My Future Self: Write Now. Read Later. Treasure Forever. We put this on our holiday gift guide so kids can create a time capsule for themselves. We can talk to our kids about being grateful, but here is a great way for them to actually show it. This is on the list for Oprah’s Favorite Things 2018. With the convenience of microwave popcorn but minus the gross chemicals. How cute is this cup-at-a-time hot water dispenser? 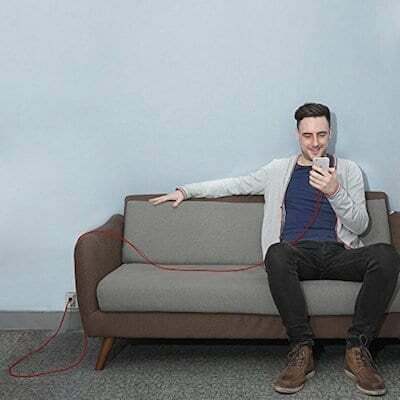 If you have a kid in college (or soon to be going) a long charger cord may be the single most useful gift you can give them. Your waffle-loving kids would be thrilled to find one under the tree. We have become big fans of the Jack Black lip balms and hand lotions and think this shaving set – with skin cleanser, shaving cream and moisturizer (SPF 20) – could be a great gift for your son and a nice way to introduce him to this cool new brand. Wallet, passport, valuable jewelry, prescription drugs can all fit snugly. The convenience of a nightstand for the weirdly elevated height of dorm beds. These thin leather cases will keep all your grown kids’ important credit and ID cards in one case. They are available in many colors of leather cork, as well.